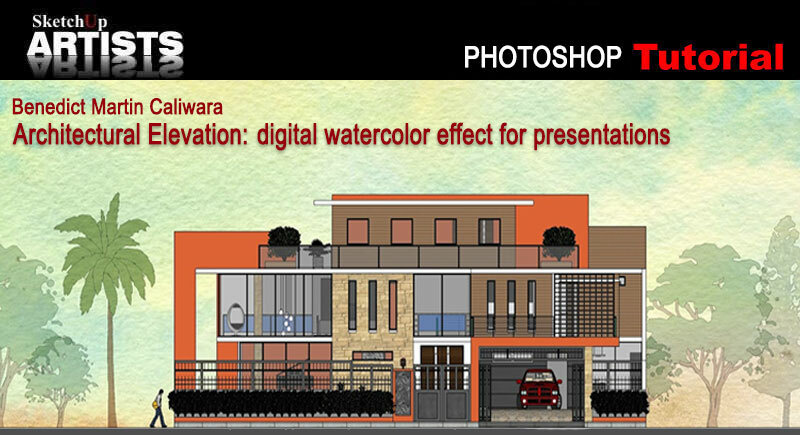 In this tutorial we will learn how to apply a digital watercolor effect on an architectural elevation. 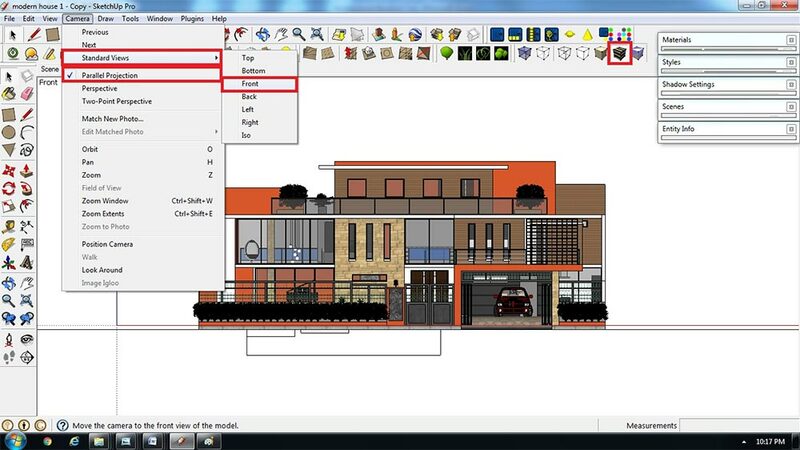 All building elevations and construction details are directly exported from SketchUp 3D models. 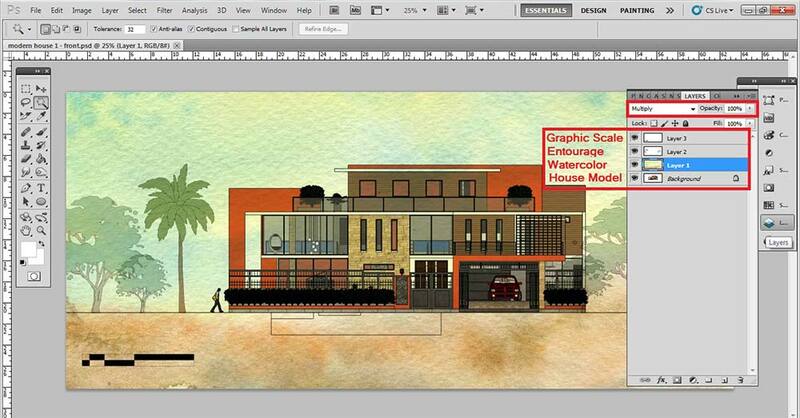 Rendering and layering procedure was done using Adobe Photoshop. You will need a basic knowledge of Trimble SketchUp and some photo editing skills for this tutorial. 1. First, we set our camera to Parallel Projection. To achieve this go to Camera and check Parallel Projection. Set the Style to Shaded with Textures so we can display the model with textured faces. 2. For the front elevation Scene, adjust the Camera to front view position, go to Camera>‘Standard Views>Front. 3. 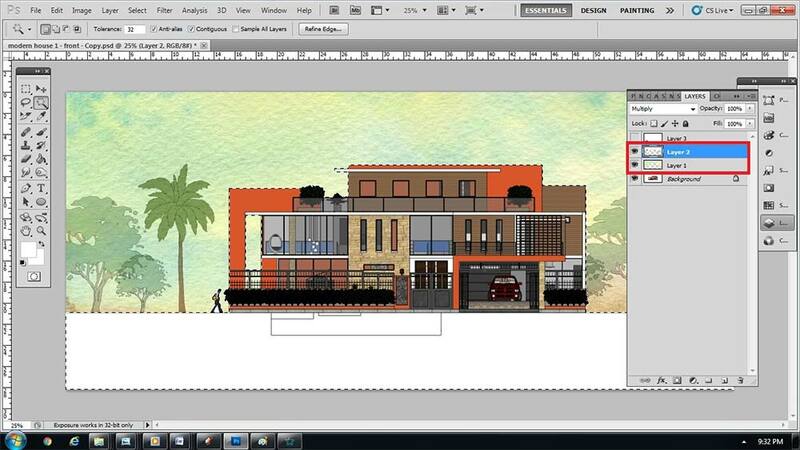 Insert entourage such as 2D SketchUp models. Copy & paste all the selected 2D models to your Scene. To adjust the opacity of 2D the tree textures, go to the Materials dialogue box and under Select, click Sample Paint and click the texture(s) under Material Edit to adjust the Opacity with a 30%-50% value. 4. 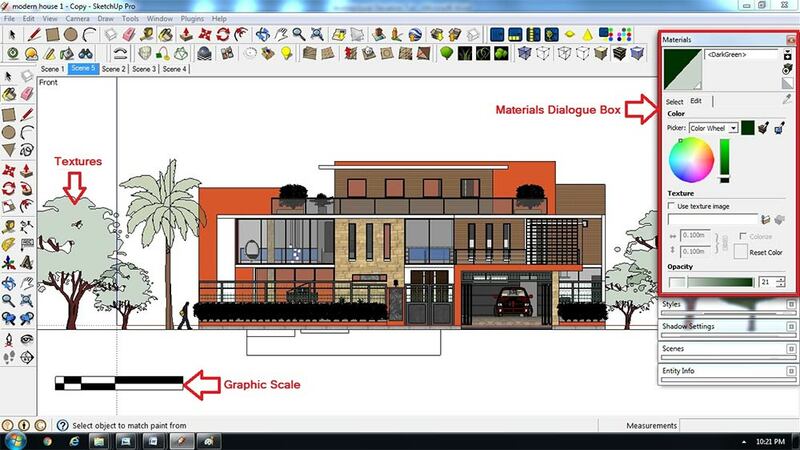 For architectural reference, make a graphic scale model using SketchUp. 5. 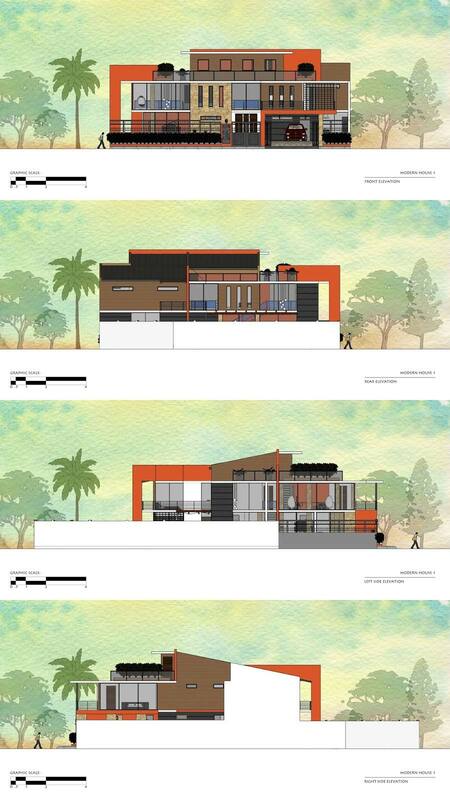 Once the entire Scene is done, export several image passes of the SketchUp model. You can turn off Layers to hide certain elements for various image exports. For example with the house on 1 Layer and Entourage on another and Graphic Scale on another, you can you can toggle the visibility of them on and off for your image exports. Lock down the file size to 4000+ pixels wide. To do this go to File>Export>2D Graphic and select Options. The ‘Export JPG Options’ dialogue box will pop up. 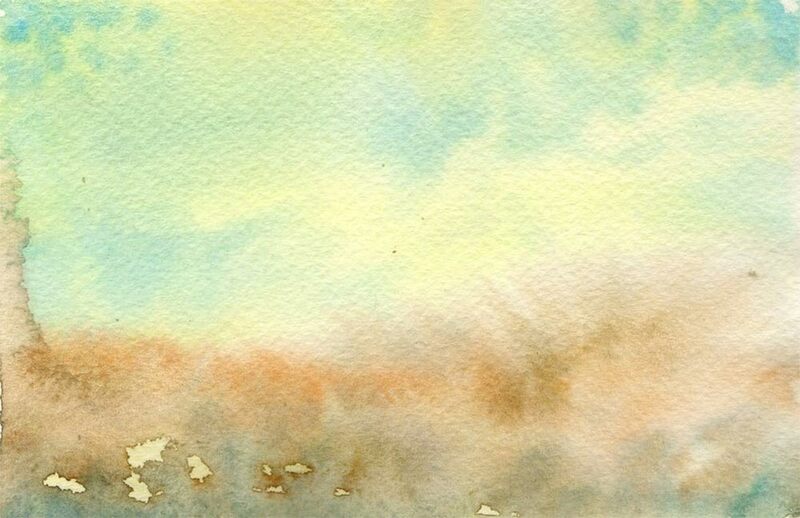 Watercolor texture sourced from the internet. 7. Remove the excess colors from the overlapping images. First, hide all Layers. 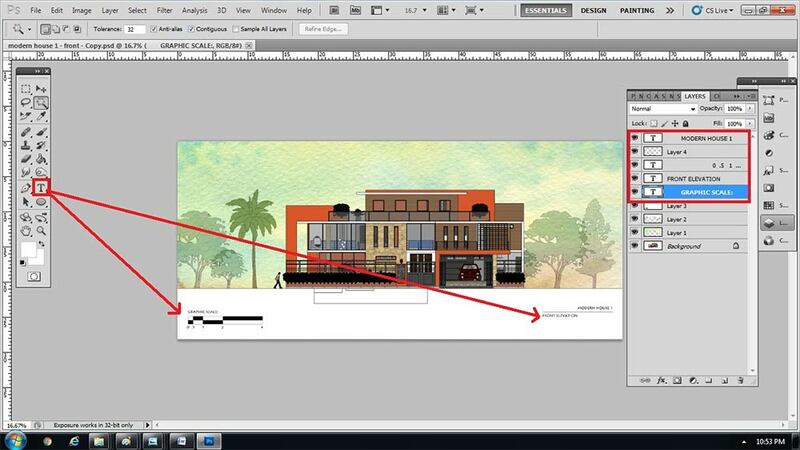 Next, using the Magic Wand Tool, select the upper portion of the background image> right click> click Select Inverse. 8. Select Layer 1 and 2. 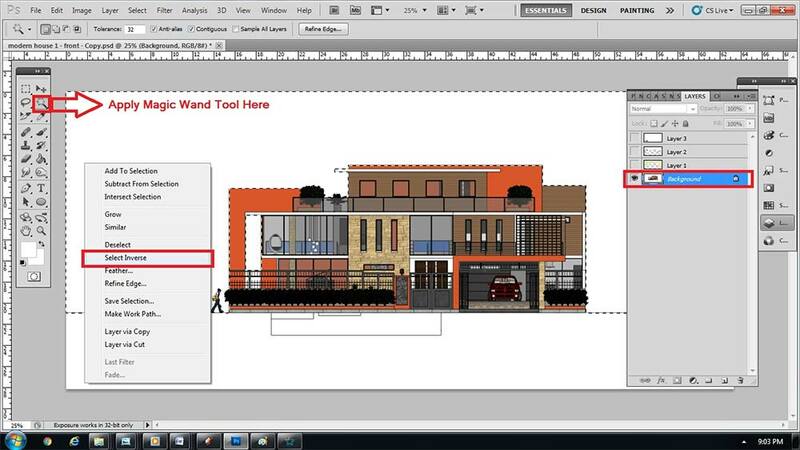 Make sure the Magic Wand Tool guidelines are still visible before pressing the Delete button. 10. 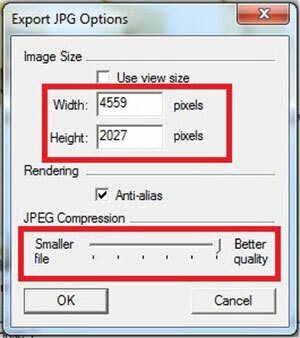 Save your work in JPEG format. Do the same procedure for the remaining elevations (side and rear view etc…). Thank you for taking the time to read this tutorial. I hope you will find it helpful in your future projects and presentations.